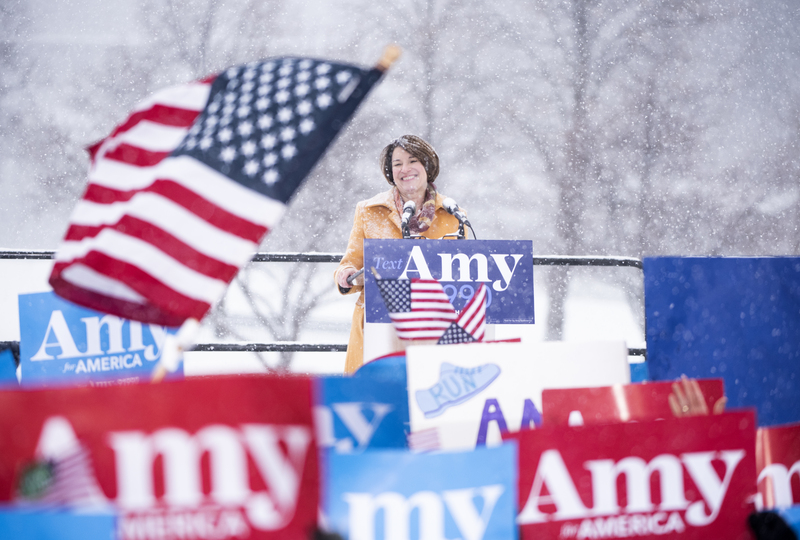 Washington, D.C. — Democratic Ohio Sen. Sherrod Brown was unable to explain on Tuesday what would differentiate his possible presidential candidacy from fellow Democratic Minnesota Sen. Amy Klobuchar, who recently launched a bid for the presidency. “Well, I don’t know,” Brown replied when asked during a breakfast hosted by the Christian Science Monitor what would be the difference between his campaign and Klobuchar’s if they were to both seek the Democratic nomination in 2020. Brown noted that while Klobuchar has had electoral success, she is not from a swing state like Ohio because Minnesota has “gone to the Democrat for president more than any state in the country in the last x number” of years. Brown, notable for his rumpled image and more than 40-year public service tenure in Ohio, was the only Democrat to win statewide in 2018, aside from judicial candidates.